The entire entertainment industry and supporters mourned the loss of a great person in the entertainment industry, German "Kuya Germs" Moreno, who passed away at the age of 82, last January 8, 2016 due to cardiac arrest. German Moreno's modest beginning in the entertainment industry started as working as a janitor and telonero (curtain raiser) of Clover Theater in 1957. Since then, Kuya Germs was known for being a comedian, actor, radio commentator, host and eventually earned the nickname of "Master Showman." He has discovered a lot of talents and launched careers of many celebrities. Last January 14, 2016 German Moreno was buried at Loyola Memorial Park in Marikina City. 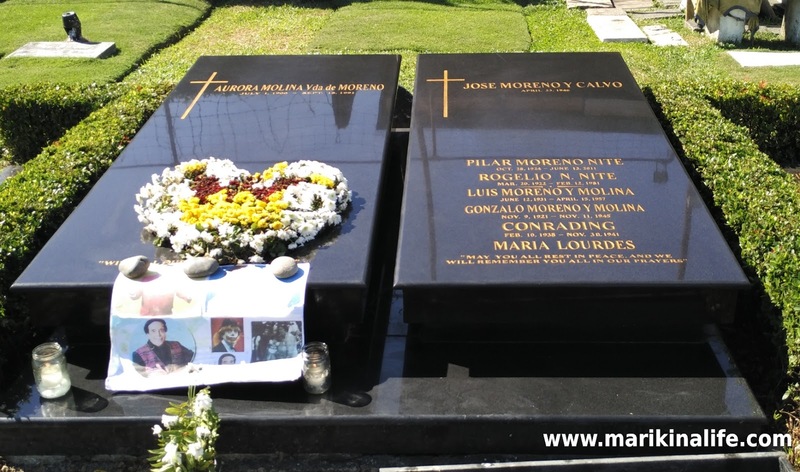 German Moreno joins his parents, Jose Moreno y Calvo (April 23, 1946) and Aurora Molina Vda de Moreno (Sept. 1991) and only sister Pilar Moreno Nite (June 13, 2011) at the Garden of Devotion in Loyola Memorial Park in Marikina. 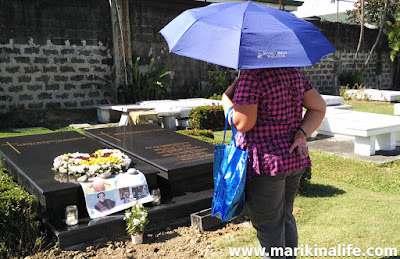 To visit German Moreno at Loyola Memorial Park, enter the main gate and take the left road. Look for the San Antonio de Padua statue to the left side, and walk towards the wall. Landmark is the Barangka Credit Cooperative (blue and yellow) building. To watch the entire internment services, click below.